RECAP: Our Virtual Town Hall on Hip Hop's Trayvon Martin Response w/ Audio - RESPECT MY VOTE! Sybrina Fulton spoke beautifully and fiercely during our Town Hall about how we all need to stay engaged in this movement for peace and justice for our children. 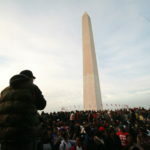 On July 31, 2013, the Hip Hop Caucus held the Hip Hop National Virtual Town Hall: Our Trayvon Martin Response to discuss our long-term organizing plan in response to the acquittal of George Zimmerman for killing Trayvon Martin on February 26, 2012. We were joined by Sybrina Fulton, mother of Trayvon Martin and co-founder of the Trayvon Martin Foundation, and Uncle Bobby, uncle to Oscar Grant. Grammy nominated recording Artist Raheem DeVaughn spoke, and award winning, internationally aclaimed poets jessica Care moore, and J. Ivy performed powerful spoken word pieces. The Dream Defenders joined us, from the state capitol in Florida. Florida State Senator Dwight Bullard, Hip Hop journalist and activist Davey D, and Hip Hop Caucus Leaders Brandi Williams, Dr. Roger Mitchell Jr., and Liz Havstad, all spoke to various issues and strategies for our generation. Rev Yearwood moderated the Town Hall and kept us focused on a long-term holistic community response. A full listing of speakers and how to reach them over social media, is below, along with audio recordings of their remarks during the Town Hall, just scroll down. Nearly 1,800 people joined this virtual Town Hall over the phone, from around the country. For over two hours, folks listened to a diverse set of voices and leaders. We laid out short- and long-term actions, and an overall plan to address gun violence, racial profiling, and injustice within our justice system. A written outline of our plan is here. It is well worth your time to listen to the full Town Hall or specific speakers, and please stay involved with the Hip Hop Caucus, follow us @HipHopCaucus. jessica Care moore is an internationally renowned poet/ publisher/ activist/ rock star/ playwright and actor. She is a five-time Showtime at the Apollo winner. She is featured on Nas’ “Nastradamus” album and was a returning star of Russell Simmon’s HBO Series, Def Poetry Jam. jessica performed a beautiful spoken word piece following remarks from Sybrina Fulton and Uncle Bobby. Follow @jessicaCaremoor. J. Ivy is an artist, a poet, a producer. He is a Grammy-winner and a HBO Def Poet under Russell Simmons. He is featured on Kanye’s debut album College Dropout. J. Ivy began the Town Hall feeding our spirit, with an incredible spoken word piece. Follow @J_Ivy. 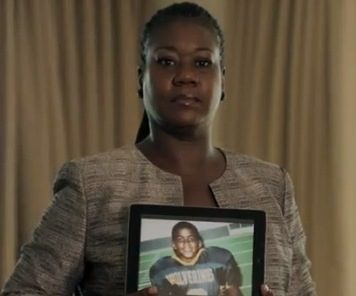 Sybrina Fulton is the mother of Trayvon Martin. She co-founded the Trayvon Martin Foundation. And she has been such an amazing steward of justice, and representation of strength for all of us. Follow @SybrinaFulton & @TTMFoundation. Uncle Bobby – everyone simply calls him Uncle Bobby – is the uncle of Oscar Grant. For those that have not seen the film Fruitvale Station yet, go see it! It depicts the story of Oscar Grant, who was murdered by BART police (BART is the subway in the Bay Area), in the most horrific way, at the Fruitvale Station stop. Uncle Bobby and Oscar’s family were a part of huge mobilizations in the Bay Area for justice for Oscar. Visit www.oscargrantfoundation.com. Rev. Lennox Yearwood Jr. is President and CEO, of the Hip Hop Caucus. Follow @RevYearwood. Raheem DeVaughn is a Grammy nominated, R&B singer/song writer. Raheem did a tribute song for Trayvon. He told us about why he was moved to do that song, and also how artists can play a major role in the healing process of that our community is so in need. Follow @Raheem_DeVaughn. Davey D is journalist and activist who has been telling the stories of the Hip Hop community, when mainstream media wont, for the past couple of decades. Davey D is based out in the Bay Area. His radio show Hard Knock Radio, is an award-winning daily syndicated prime time afternoon show focusing on Hip Hop culture and politics, and is probably the best way to get to know Davey D. Follow @MrDaveyD. Phil Agnew is Executive Director of the Dream Defenders. The Dream Defenders are sitting-in in the Governor’s office, demanding that the Florida legislature comes back into session to pass a Trayvon Law. Follow @PhilUnchained & @DreamDefenders. Dwight Bullard is a Florida State Senator. He represents Miami in the Florida Senate. He is of the Hip Hop generation. He was a public school teacher before being elected to office. Follow @DwightBullard. Brandi Williams, Liz Havstad, Dr. Roger Mitchell Jr.
Brandi Williams is coordinator of Hip Hop Caucus Charlotte, and is a public relations professional. Liz Havstad is Director of Civic Engagement and Strategic Growth for the Hip Hop Caucus, and Dr. Roger Mitchell Jr. is coordinator of Hip Hop Caucus Newark and Chief Medical Examiner in Newark, NJ. Brandi, Liz, and Dr. Mitchell speak to Hip Hop Caucus’ mobilization and policy efforts, and how to get involved. Follow @mizzbea2u, @lizhavstad, and @rmitch_jr.